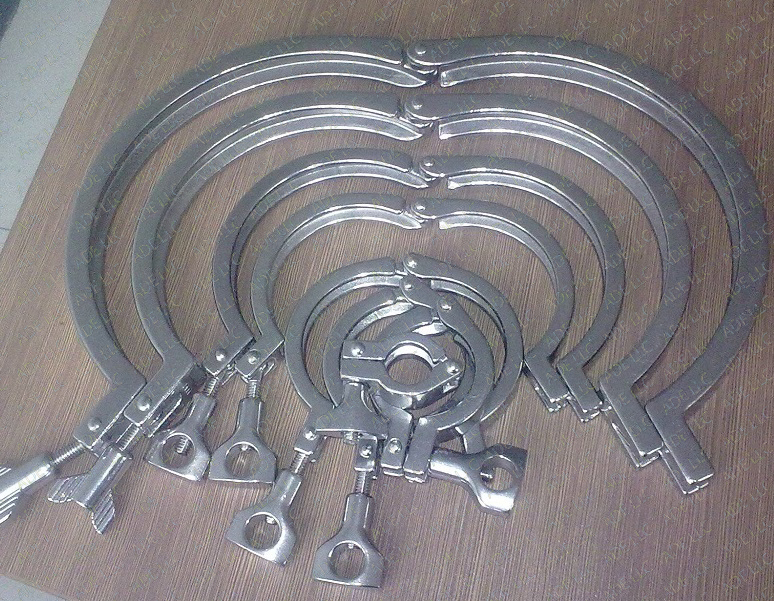 We carry a wide selection of Tri-Clamps like the ones shown above. Choose between the single hinge or the double hinged Tri-Clamps. We have sizes ranging from 1/2" up to 12" clamps. Visit our online catalog to find the size you need plus a full price listing. We have a wide selection of Tri-Clamp Fittings & Tubing. Our Tri-Clamp Hose Adapters are made from Stainless Steel SS304. There are several sizes of the Tri-Clamp to NPT adapters with male and female adapters. Also, our Tri-Clamp Tees, Tubing and the 45° elbows along with the 90° elbows are made from 304 Stainless Steel and they meet the standards of the sanitary industry. The picture to the left is of Tri-Clamp Tubing. This Stainless Steel Tubing has a 1.65mm wall thickness. It can be combined with ferrules, fittings, clamps, and gaskets. We offer lengths from 24" to 84", and OD sizes from 1" through 8" SS304. The picture at the bottom right is of Tri-Clamp Sanitary Stainless Steel Spools. 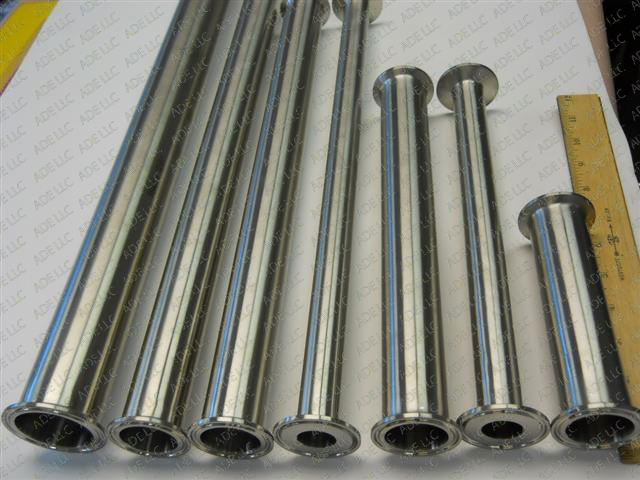 These are pre-fabricated lengths of Stainless Steel Tubing with Tri Clamp Ends. They can be fitted with clamps and gaskets. We offer these spools in lengths from 3" to 48", and OD sizes from 1" through 12" SS304. Pictured below are 2 Tri-Clamp to Female NPT adapters. 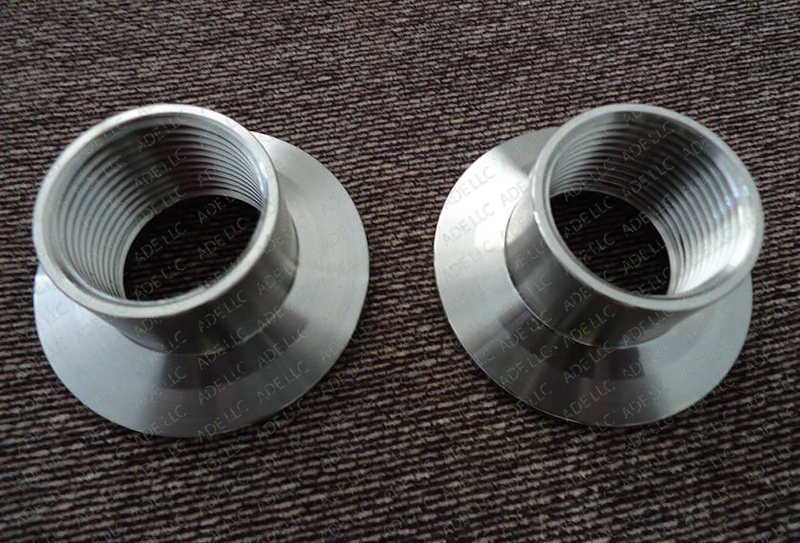 These SS304 Stainless Tri Clamp to NPT adapters are 100% sanitary and they meet the standards of the sanitary industry.